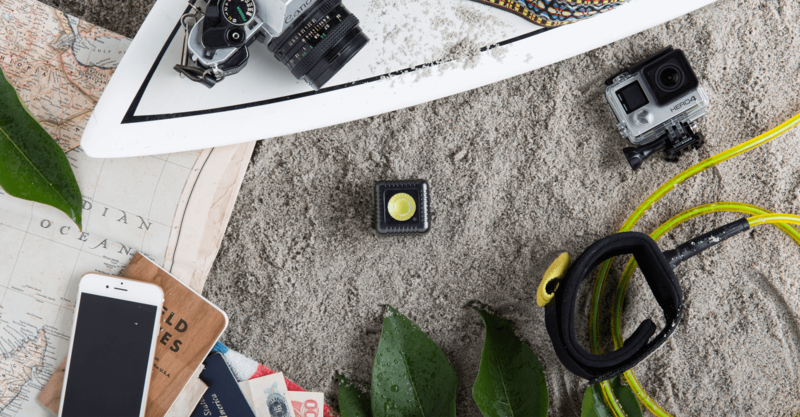 An amazing, compact and powerful light used to enhance video and photography to levels never before seen, Lume Cube was created for those that don't want to stop when the sun goes down. To launch this product, we didn’t stop when the sun went down either. After many late nights, ping pong games and client-agency beer breaks, a full scale ecommerce brand was born and we never looked back. 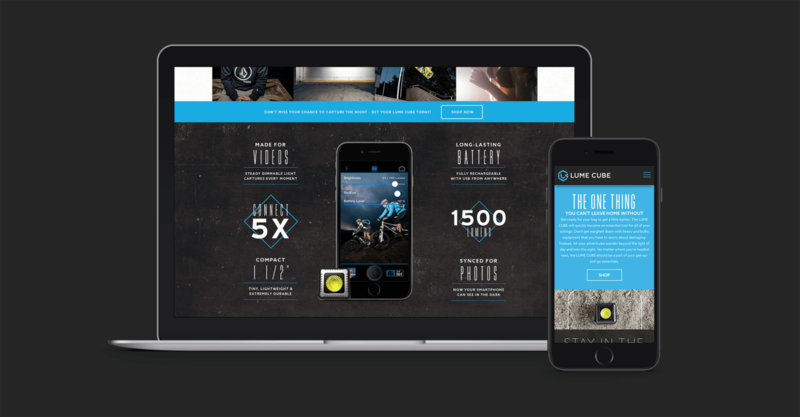 Lume Cube was a true “start-up” launch after a successful Kickstarter campaign. 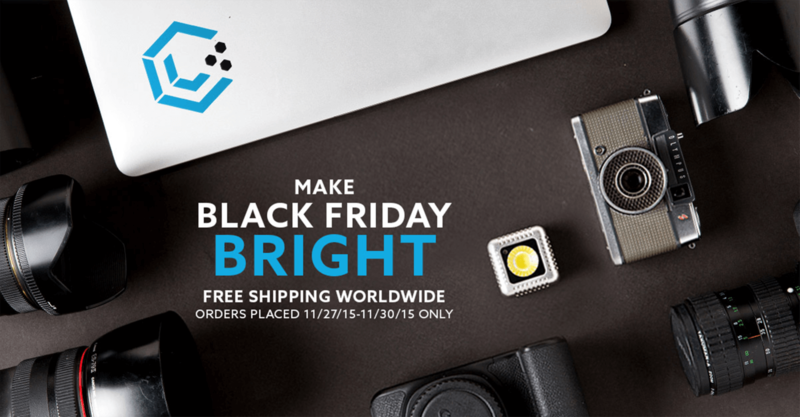 They needed a beautifully designed online presence, a Black Friday product launch campaign, and an array of brand assets to drive sales and increase the company’s valuation and bottom line. 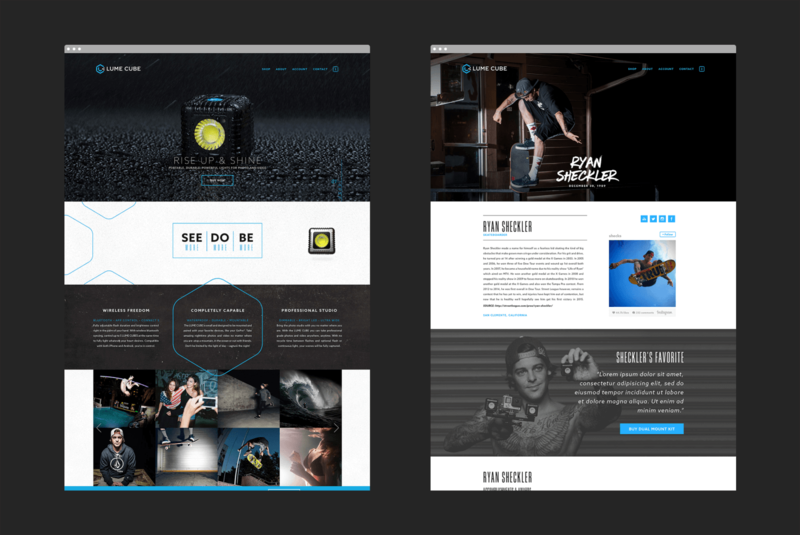 Our team did some of our best work in an insanely short amount of time to launch a new eCommerce site in less than 6 weeks, not to mention design an impressive suite of brand assets including product packaging, business cards, trade show booths, and social/digital designs. 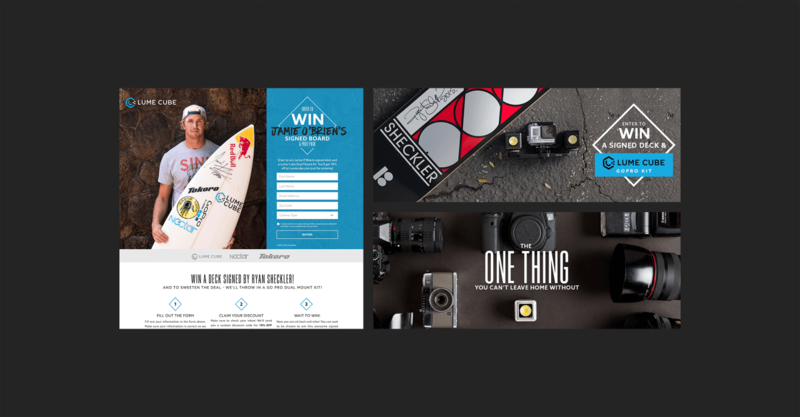 We also collaborated with celebrity athletes like Ryan Sheckler & Jamie O'Brien to drive some incredible results across social media, email, affiliate programs, and direct eCommerce sales. HI-CHEW A multi-channel brand campaign that’s extra sweet. Better U Foundation Doing Work with Jim Carrey...Need We Say More?